Pink / fuschia bikini for girls, UV protection 30. 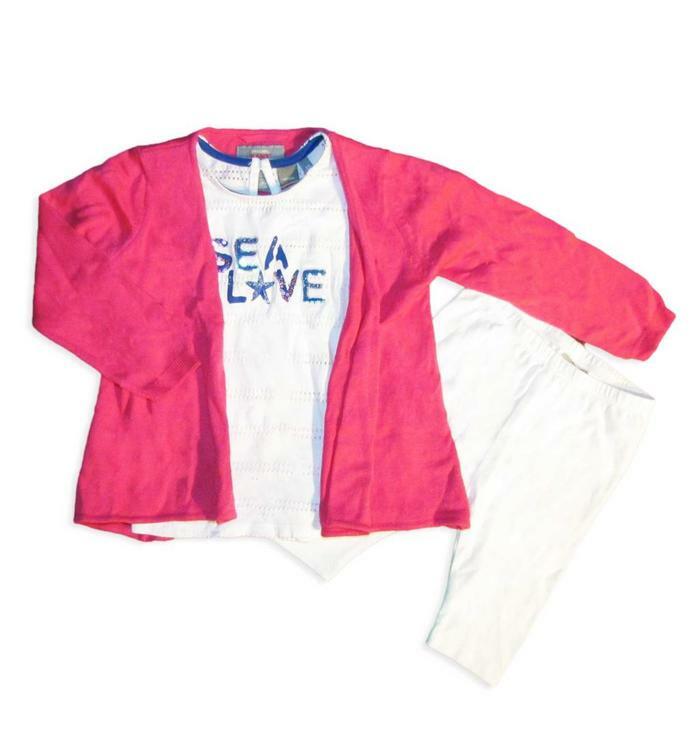 3-piece set including a fuchsia cardigan, a white t-shirt round neck with blue writing and small holes that form lines, with white leggings. 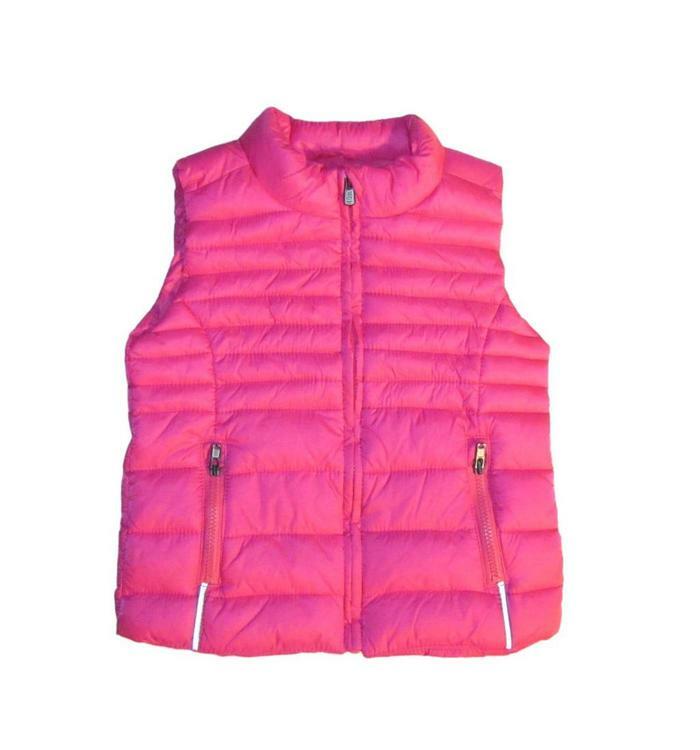 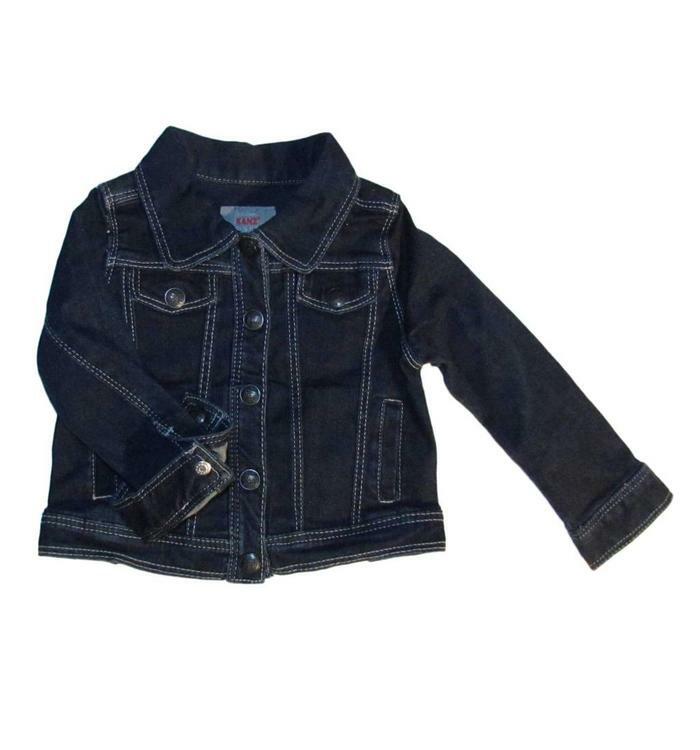 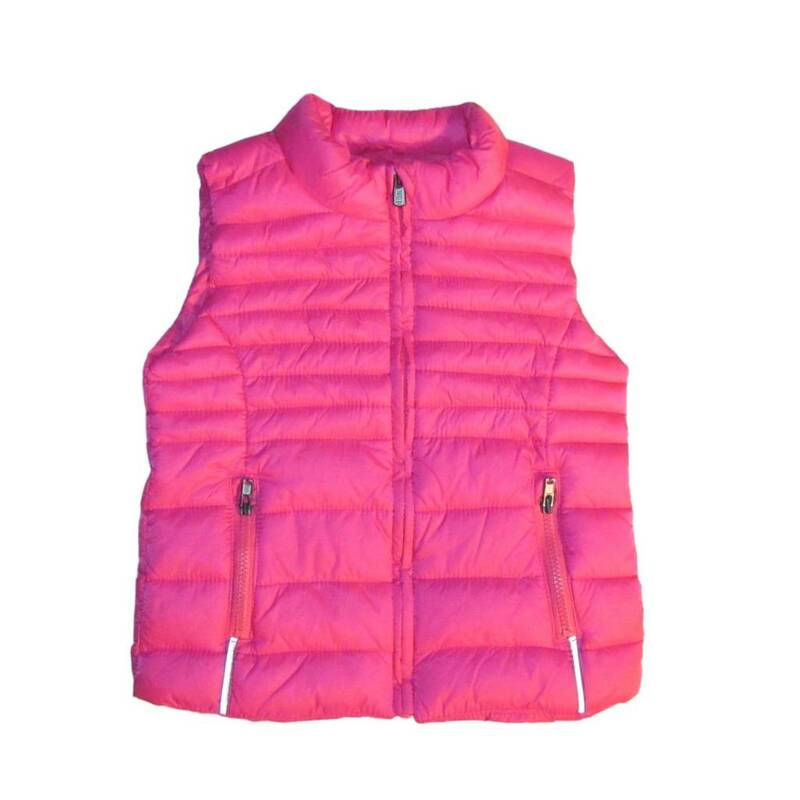 Denim jacket for little girls with pressure buttons and a white sticking.